Event Description: All American Stars & Stripes weekend with a British twist. Celebrating the biggest and brashest cars this side of the pond and some classic British metal. A great day out for all the family. Event Description: It was a brave decision in 1904 by the fledgling Motor Cycling Club to inaugurate a competition which involved motorcycles travelling from London to Edinburgh in a limited time. Event Description: Brooklands Morgan day, with Test Hill in action in the afternoon. East Yorkshire at NYMR Goathland. Event Description: East Yorkshire gathering at North Yorkshire Moors Railway Goathland Our second visit of the season to this historic station, always a popular event with the public and exhibitors, please come along and join us. Times:The show starts at 11:00am. Event Description: Yorkshire Thoroughbred Spring Rally, at Crow Nest Park Dewsbury. Yorkshire Thoroughbred car club in association with the friends ofCrow Nest Park invite all classiccs to attend their first spring rally . Event Description: Join us for the final Sunday Scramble of the year, an opportunity to meet our Specialists and enjoy the workshops and showrooms open to all, along with vintage aircraft flying-in and Tiger Moth flights available. 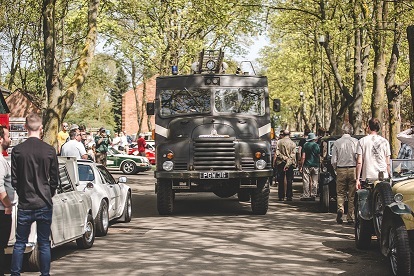 Event Description: Our grand end of season event, with the opportunity to see all sorts of vehicles from commercial, transport and vintage cars. Event Description: Sunday will see the return of the civilian vehicle parade with classic vehicles such as 1930s Austin 10, Rolls-Royce convertible and period motorcycles. On Saturday 13th October, the foot parade will be led by the Yorkshire Corps of Drums and will include all disciplines of the military, followed by a vast array of 1940s military vehicles. Event Description: A lovely mix of Klondykes own engines, visiting engines, and a few classic cars. Klondykes own repair facilities and stationary steam engines are on show. 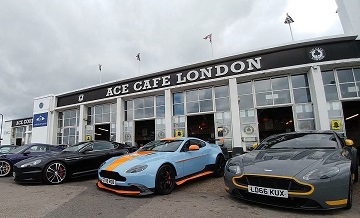 Event Description: Breakfast Meeting - Sea Lane Caf� Classic Car Breakfast Meeting open to SCS members and non-members alike. Caf� open serving food and drink. 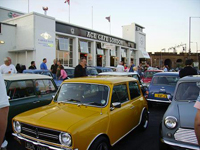 Event Description: The Autumn Motorsport Festival at Brooklands Museum, with its associated competition car displays, will held again in 2019. 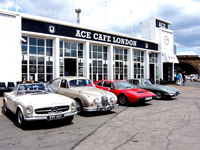 It�s a wonderful chance to round off the season with the sight of competition cars from all eras in action on the Mercedes-Benz World test track, adjacent to Brooklands Museum. 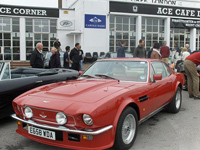 Event Description: This popular end of season classic vehicle events goes from strength to strength. Number of Cars Attending: 0 but never mind!